« 7/6 Summer in full effect! 7/13 Eggplant, tomatoes, and more! 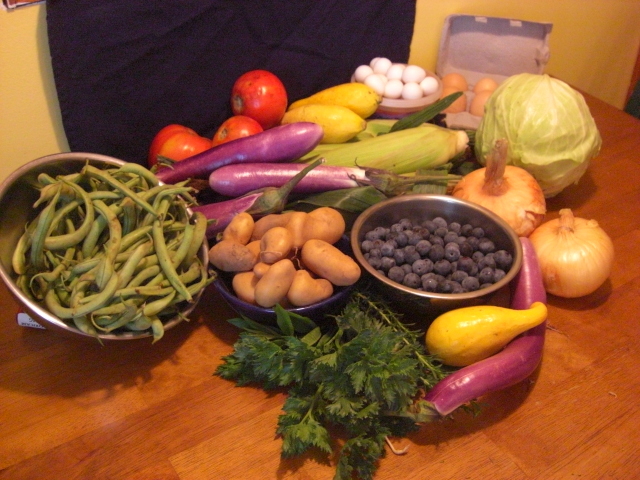 Here’s this week’s haul en masse (except for a cantalope that I forgot in the fridge). It was one heavy box of goodness! I stuck the par-cel and savory in a glass with a little water, covered them with a plastic bag, and put them in the fridge. They’ll last at least a week that way. I’m drying the lemon verbena for tea. We had a couple of ears of corn for lunch along with leftovers from last week – sausage, sliced tomatoes, and green beans. Last night, we used it as a dipping sauce for fried eggplant. I sliced one of the Asian eggplants, dipped the slices in an eggwash, and breaded them with cornmeal, panko, and salt. Fried eggplant is so creamy on the inside. Really yummy. I also fried some okra from last week. I breaded these with just cornmeal, flour, salt, and pepper. Usually, the okra slime is enough to hold the breading. 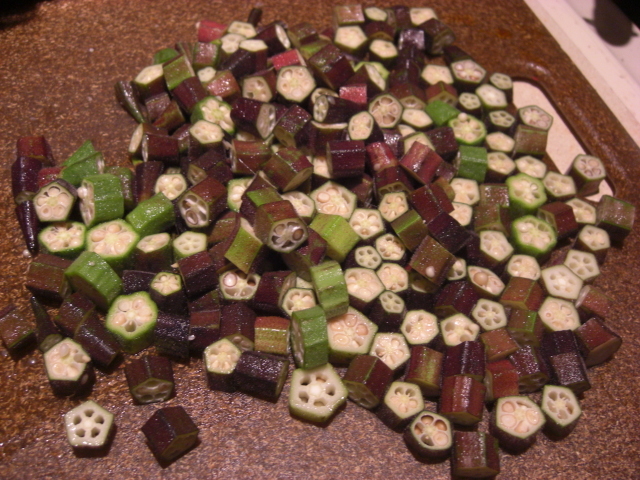 This was true for the green okra I chopped, but not the reddish/purplish variety. The cornmeal just fell off those pieces when they hit the oil. The okra was still good, but next time I might add an egg wash before the cornmeal. Both veggies were fried in pure olive oil over medium heat. I like using pure olive oil because it’s cheaper than extra virgin and it doesn’t leave me feeling icky the next day like non-olive oil does. I’m making vinegary coleslaw with the green cabbage and sweet onions. 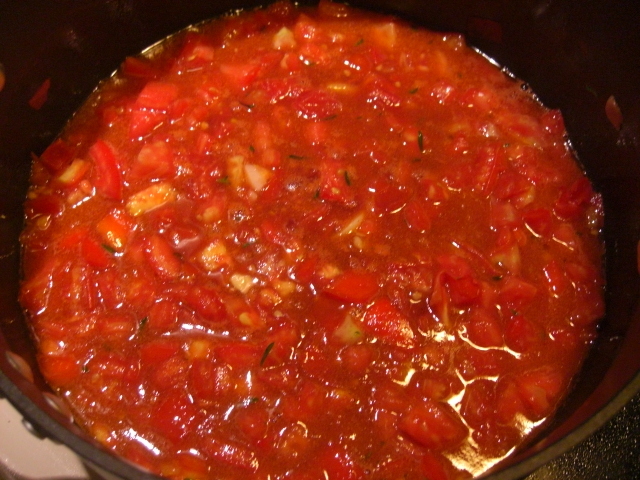 The recipe’s in this post along with a couple of others. The rest of the eggplant will probably become baba ghanoush with chopped par-cel leaves on top. Here’s one recipe. Maybe there’ll be some muffin-baking this week. Squash muffins are good with green beans. Blueberry muffins are just plain good. I found the quail eggs tricky to crack and kind of a pain, but I’m happy enough to have them. This dozen will come to about two chicken eggs’ worth of egginess. I’ll use them in fried rice or just scramble them for a light supper. I think that’s everything. Enjoy your food!